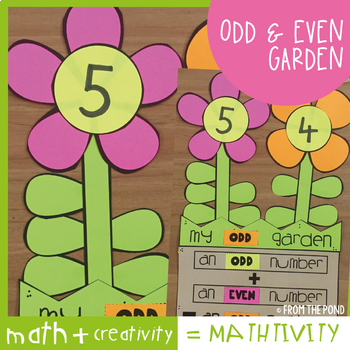 Combine a lesson on odd/even with craft and creativity with this creative paper craft mathtivity - Odd and Even Garden! 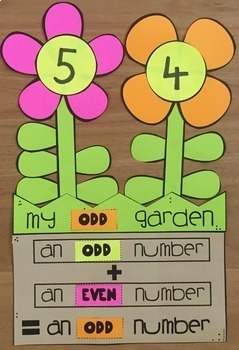 This packet will provide you with template pieces to make a cute garden to show students what happens when you combine 2 numbers - wether it be odd/even, odd/odd, even/even. Students color the templates pieces and then record the information from their combination in the soil under their garden. These pieces can be printed on color paper, or print them on white paper and ask your students to shade them. Students can choose from a 4, 5, 6 or 7 petal flower. 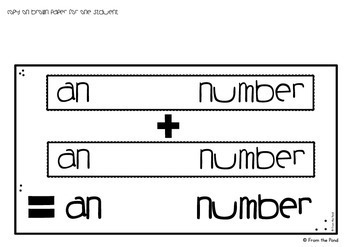 Find more mathtivity packets in my store HERE! Find paper crafts in my TpT store HERE!